Target details ......................... Perhaps in Johann Elert Bode's catalog of 1777. Independently found by Espin in 1793. 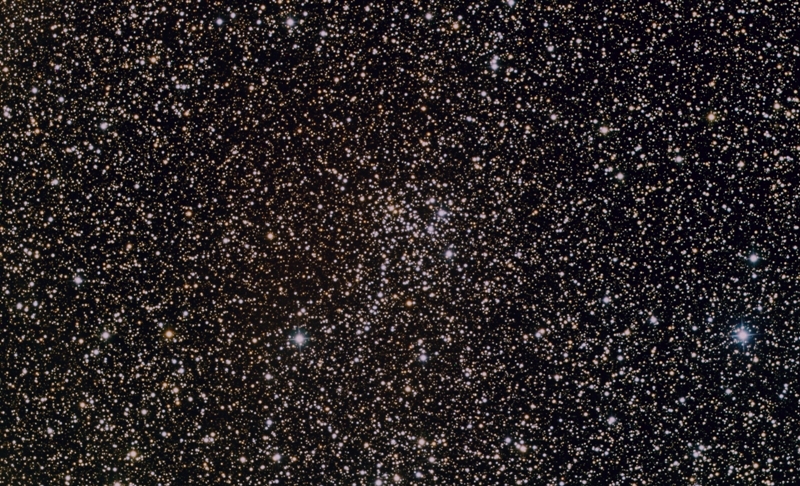 This open cluster is contained in Johann Elert Bode's list of 75 nebulous objects as Bode 1. While Bode doesn't give details on its discovery or any observations, it seems that this may be his own discovery, in particular as he lists it with source "Bode" in his 1782 Atlas, "Vorstellung der Gestirne" (Introduction of the Luminaries).The few treatments of Bode's list usually presume that Bode 1 is non-existent. 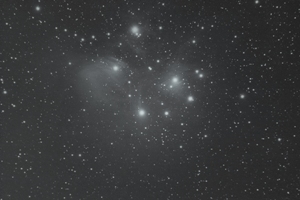 The nearest NGC clusters are NGC 7226 and NGC 7243 , but both are several degrees off from Bode's position. The present author has found the proximity to the cluster IC 1434 some time ago. Also, at least, there are contemporary positive observations of this object with moderate telescopes. It contains about 40 stars scattered over a diameter of 8 arc minutes. The brightest of these stars is of about 12th magnitude, the whole cluster of mag 9. It was also cataloged as Collinder 445 and as Melotte 239. It was not deeper studied until Tadross (2008), who determined some of its fundamental parameters, such as its distance as about 8,100 ly, and its age as some 900 million years.